Welcome to Clearit.ca’s Guide to Importing From China. Here we will detail the process of finding a supplier, communicating with them as well as paying for and receiving your goods. When looking for suppliers, many of us first begin our search in China. It is world renowned for its affordable and abundant products, but where do you begin? As someone looking to start up a business with little to no contacts, where can I find a reliable Chinese supplier? The first place to start, much like anything else, is the internet. Many Chinese suppliers understand they are one of thousands, if not hundreds of thousands of suppliers competing for your business so they flock to supplier website such as Alibaba.com and GlobalSources.com. Here you can enter a few keywords about the type of product you are looking for and in a split second find tons of suppliers manufacturing just that. Finding a supplier on the internet can be easy, but buyers beware – just like anything else on the internet, not all of it can be trusted. Trusted sites like Alibaba.com have some sort of vetting process, but scammers do manage to slip through the cracks. If you are in fact serious about importing a product from china for distribution, your best option is to hop on a plane and visit some suppliers face-to-face. 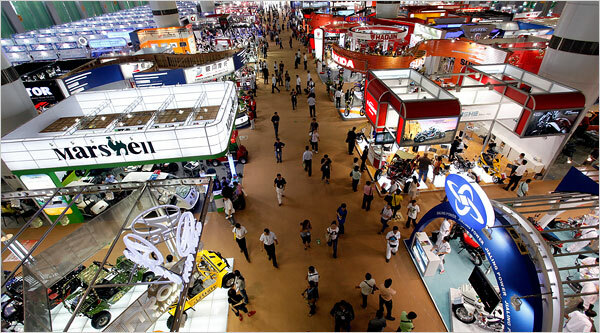 Trade shows make it easy to meet with many suppliers in a short period of time and with thousands of them put on a year, it is very easy to find a show with exactly what you are looking for. Establishing a good relationship with your Chinese suppliers is paramount to maintaining your import business and while face-to-face contact may be great initially, dealing with suppliers by email is much easier. English is mandatory in China after the third grade, so most Chinese do have a decent grasp of the language but due to culture may have an easier time communicating in written form. Email may give them the time needed to think and formulate what they need to say. Once a relationship has been established, start off by ordering samples or test orders in small batches. This will allow you to inspect quality and gauge whether they can offer that same quality over and over again. You may also want to be sure that this supplier is legitimate and not stealing your money, so it is best to start with a small order before investing and placing a large one. Maintaining your relationship is just as important as building it. While it may seem as though Chinese suppliers will fight to the death to pick up any and all “western” distributors, most of them are looking for that one, slam dunk client. Many importers will take the time to build a relationship with a Chinese supplier, but after several small orders, find that communication has been dropped and have no idea why. The truth is, while many suppliers are in need of business, they tend to pick and choose who they work with – so gifts and visits may be necessary. Some importers are surprised to find out that their Chinese suppliers only accept Western Union or Wire transfer. These are non-secure forms of payment and can be hard to trace if your shipment doesn’t show up at your door. The unfortunate thing is, these are really the only forms of payment available. Credit cards are hard to come by in China and are therefore pretty unpopular. When receiving your goods, it is important to get all the facts straight before the cargo goes out. As an importer, you do not want to be hit with surprise costs and the only way to avoid this is to get as much information as you can. Ocean freight from China is actually quite cheap. The majority of your shipping costs will either be from the factory to the port of exit, or, from the port in Canada to your door. One thing to look out for, which are terms you may be familiar with, is FOB or EXW. FOB, a popular shipping method with Chinese suppliers means that your supplier is going to handle and arrange all shipping costs from his door to the ship and all documentation required therein. Once it is on a boat, you are now responsible for the cargo and for the costs incurred while shipping. EXW, a lesser known term, but one that is becoming increasingly popular means that your supplier will not handle ANY of the shipping costs or set it up for you. It is up to you to get it from the suppliers door and onto a ship; something that may be a little more difficult to do from half way around the world. Suppliers are choosing to ship EXW as competition has become fierce and they are looking for new sources of revenue. Once your goods have made it from the factory and onto a ship, your main contact will be the local office at the port of arrival for your chosen shipping company. All charges from hereon will be handled by this office, usually including a handling fee (somewhere around $100-$150)and all questions about arrival times can now be directed here, or, to your chosen customs broker. One thing no one will tell you about (except maybe a decent customs broker) is the unexpected customs examination fee. All shipments entering Canada are subject to inspection, but as a first time importer, you have a 99.999% chance of having your first 2 or 3 shipments inspected – it’s almost guaranteed. As a regular importer, the chances of inspection are about 1 in 15. So for your first few shipments and every so often afterwards, expect some added costs. Exam fees can vary anywhere between $150.00 – $2,000.00 and beyond. Contrary to popular belief, Customs Exam fees are not charged by Canada Border Services Agency, but rather the warehouse where it is taking place. The warehouse will have to do a lot of work to prep your goods for inspection, and they charge accordingly. We hope this guide has been insightful and helped you in some way. Below are some website that we feel can be useful to the first time importer.